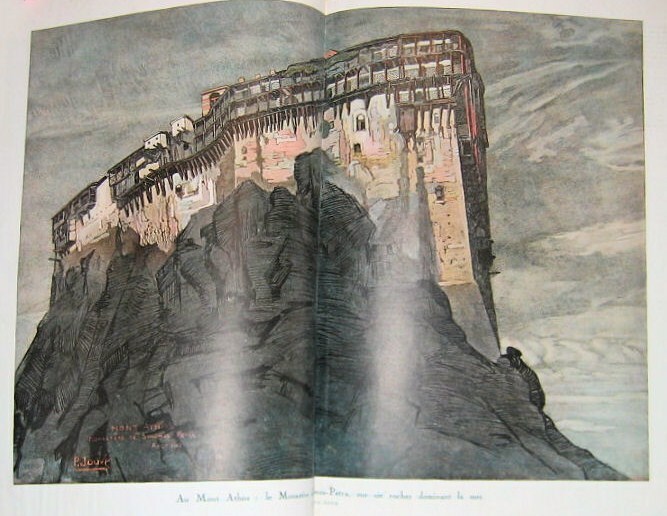 In Blog 445 and 645 we showed you some paintings and photos from the visit of the Frenchman Charles Martel to the Holy Mountain. Today I can show you three color images, found in the L’Illustration – special Christmas magazine from 1920. This entry was posted in history and tagged 1918, Martel. Bookmark the permalink.